Whenever I want to have something different and exotic for lunch, I think about Semita Bagala Bath (Thayir semiya), as it is a tasty one pot meal which can be prepared with minimal effort. 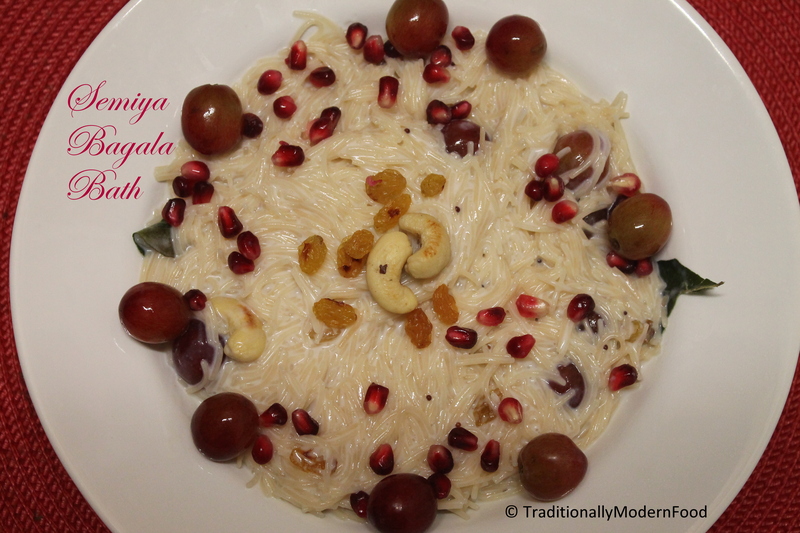 I generally follow my mom’s recipe for Semiya Bagala Bath. My sis and I are big fans of this dish, and Hubby joined the club after marriage. This is prepared similar to Curd Rice. Nuts and fruitsakes it extra special. Perfect for small gathering/ buffet or party. Instead of adding Curd alone, Amma adds milk and curd approximately half the qty of milk and keeps it refrigrated. After 2- 3 hours, it tastes amazing. Make ahead delicacy. I am sure this would be a table winner dish! Add 1/2 tsp of ghee to the pan. When the ghee is hot, add cashews. when the cashews are half cooked, add raisins and cook till cashew are golden brown. Switch off and transfer to the plate. Without adding Ghee/oil, roast the semiya in the same pan for a minute (I used roasted semiya, but roasted again for the ghee fragrance). Transfer to a plate. Add ½ tsp of ghee to the pan. 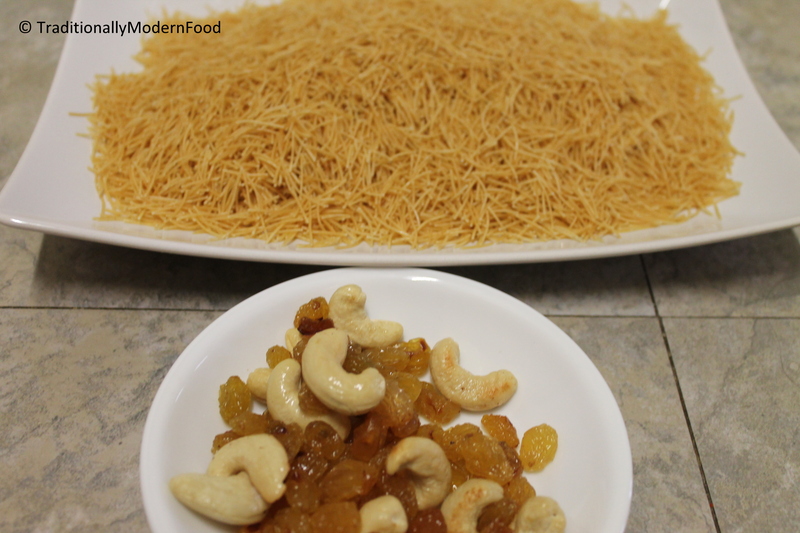 When the ghee is hot, add cashews. when the cashews are half cooked, add raisins and cook till cashew are golden brown. Switch off and transfer to the plate. Without adding Ghee/oil, roast the semiya in the same pan for a minute (I used roasted semiya, but roasted again for the ghee fragrance). Transfer to a plate. Yours look so delicious 🙂 It is definitely a table winner dish!! Vidya, it looks very nice! Wow vidya, sounds different and interesting. Looks yummy tooooo. …. 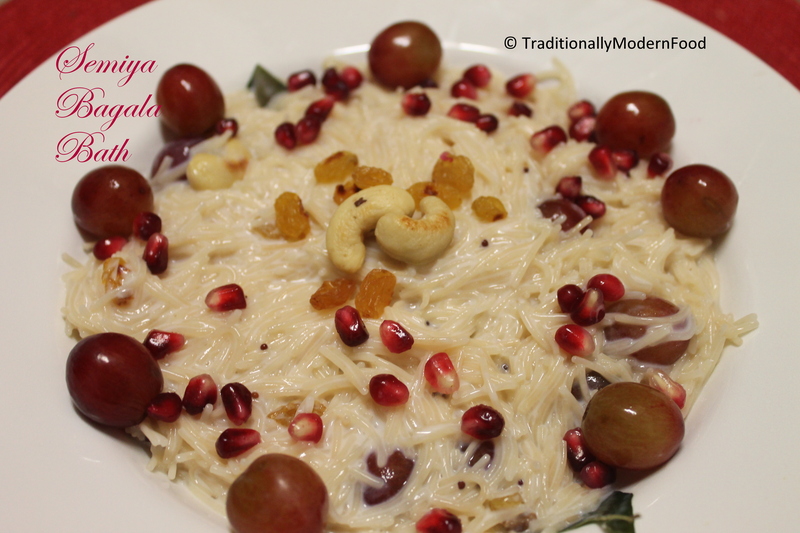 A very different dish – looks lovely with that pomegranate topping ! 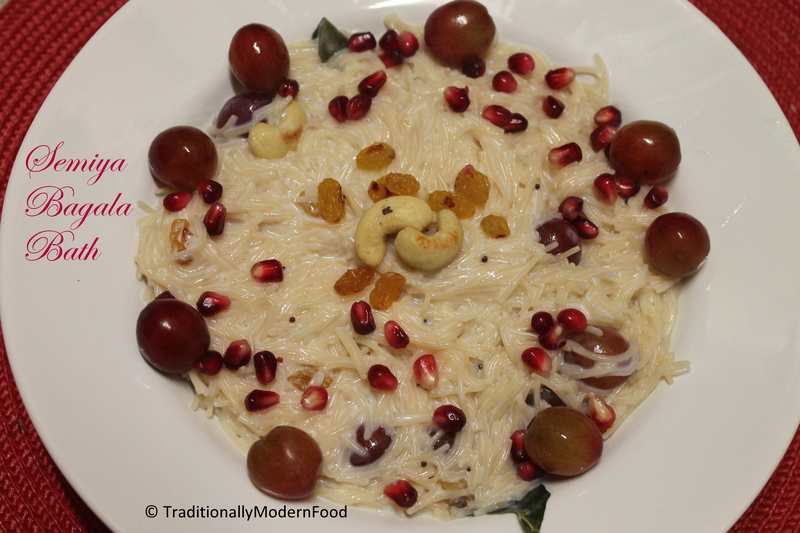 I’ve never heard of this dish before, but it looks so comforting like my favourite kheer! Glad I found your blog today, looking forward to checking out some recipes. Lovely recipe looks yummy ! I was totally lost, now I see it’s vermicelli. What is curd exactly and where do I find it?? Yummy! Thanks for linking it to Healthy Diet event!